The Crown Fractionation System separates corn into three components: starch, germ and bran. 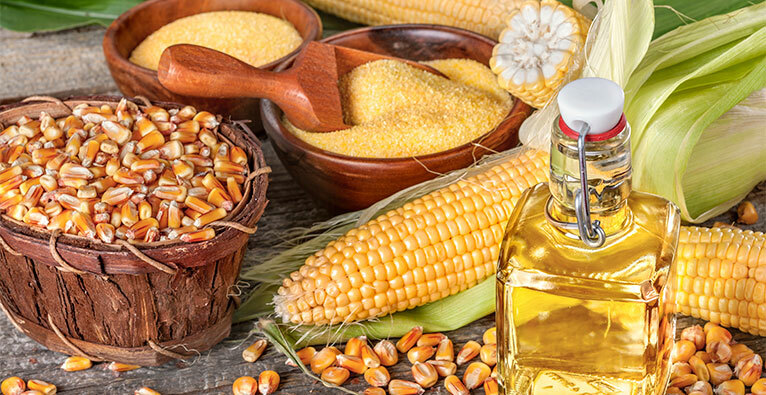 Separating the non-fermentable products, such as germ and bran, from the starch increases an ethanol plant’s efficiency and throughput per bushel and is the first step to creating value-added co-products. This process begins with the corn being tempered, which enables the corn to absorb the moisture required for fractionation. The tempered corn is conveyed to the degerminator, where it is fractured, separating the starch while maintaining the integrity of the germ. The fractionated corn is screened and aspirated, separating the starch, germ and bran. The starch is sent to the ethanol plant and the bran to storage for sale. The germ can be sent to oil recovery or milled and sold as feed. The oil can be recovered by either mechanical extraction or solvent extraction. Mechanical extraction is done with mechanical screw presses. The mechanical screw press squeezes the oil out of the germ. The oil is clarified and then can be refined into an edible oil. Solvent extraction is a chemical extraction where the oil is extracted using a solvent. The oil from solvent extraction can also be refined into an edible oil.